Ecru Design client testimonials on designing a range of materials including web postcards, information flyers, leaflets and websites. Ecru Design has always produced high quality marketing material for our organisation. We have been impressed by their helpful attitude and efficiency. I worked with Morag Findlay at Ecru Design on the design of a new logo and full website for our business. I found Morag honest, approachable, flexible and extremely professional. She offered excellent up-to-date advice concerning all aspects of graphic design and website design. She worked with me to understand the needs of our business and by taking this time to really understand the requirement she has been able to design a site that exceeded our expectations at a cost effective price. Her redesign of our logo has received great compliment from many of our customers and competitors and above all the website generated new business streams for the company in its first two weeks of inception. 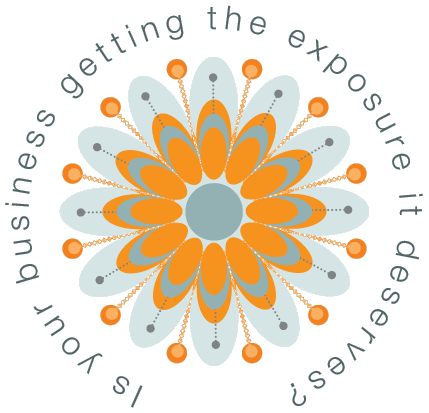 Ecru Design were a great help when I was branding my company, I had no idea what I wanted and Morag was very patient with me, she provided loads of ideas then sat down with me to design something that I was really happy with. Ecru Design is a smart, friendly, highly responsive company and most importantly, they deliver amazing results! Ecru Design provided a first-class service for us. Their creative and innovative approach to design helped us to get our branding just right. They were rewarding to deal with – everything was produced on time and on budget. We have been commissioning Ecru Design since 2002 to help us brand our organisation. As we work in media we are always striving to be up-to-date with our image and concepts, Ecru always come up with the goods weather it be our letterheads, marketing brochures or posters. Ecru work to a very high standard and their design work makes them stand out from the rest. Ecru Design have provided us with design services for over 9 years; New ideas and a quick response is why we will continue to utilise their services. Ecru Design always produces material which is vibrant and instantly conveys the message we want to get across to people about what we do. They also provide a fast and efficient service and we would thoroughly recommended them to anyone who is interested in improving their promotional material. 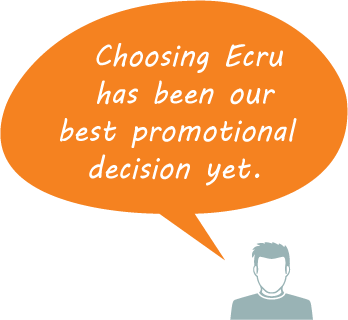 Morag at Ecru was personally recommended to me and didn’t fail to impress with her quality of service, technical support and advice. I’d have no hesitation in passing on the recommendation to others. It was by chance that I “discovered” Morag at Ecru Design and I don’t know how the Forum managed without her! Morag’s ideas, development and dedication to her work are second to none. The quality of work that is produced is extremely high and the timescale in which work is completed is excellent. Thanks Morag, I look forward to continuing with a very successful working relationship. As a freelance editor and writer I like to work with a trusted and creative graphic designer. Ecru Design has helped me with several projects over the years. They listen to what the client wants, make useful suggestions, comes up with good designs, and gets things done on time. I have always been pleased with what they do, and so have my clients. Ecru Design gave us a fantastic service and the designs look great. They also organised the printing of our letterheads, invoices and comp slips, which saved us the hassle of sourcing a printer ourselves. I wanted to write to you to say thank you for delivering my website on time and looking great! Being completely computer shy I have felt in safe hands all the way and you have guided me beautifully through, what could have been, an extremely daunting task. It has been especially important to me that you have truly listened to me every step of the way. It is remarkable that you have created this site with no prior knowledge of this type of business. I feel that it is a true reflection of myself and of the service I offer to my customers. We really wouldn’t have believed that working with professionals like Ecru Design could have made such a difference to our business. The standard of their work is amazing. They have totally revamped the look of our label artwork and transformed our website for us. I can safely say that working with Ecru Design has brought a whole new dimension to our products and services. Thank you for all your help with developing my website a few years ago now. It is excellent, representing my therapy and myself really well. Since then you have helped me develop the site further, always responding quickly and positively, with a good presentation. From being a good advertisment initially it is now bringing me in business regularly. Ecru Design provided a very professional service, good design flair and were pleasant to work with. Ecru Design are very thorough, very concerned with detail, thoughtful, creative and inventive. The staff at Ecru Design really took the time to understand our business and objectives, producing outstanding quality exceeding our expectations. They provide results every time, on time, and are excellent value for money. The making of a website was not something that I relished doing at all, and had put it off for months. Morag was very adept at pulling together the random ideas I had come up with and then building and inspiring more and then doing all the technical stuff to make it all possible. I could not recommend her more. I am very pleased with the ease of navigation and the entire look and “feel” of my website.